Very friendly staff . Punctual and Professional. Makes for a pleasant visit. I would recommend this dental office to anyone. The staff is great and love my hygienist. Dr Park is very gentle when treating me and explains very well what he is doing and what needs to be done. I'm very happy w/this dental office. I have been going there for a long time since Mr Parks has taken over the up grades are very nice . there new faces at the front desk and seem very easy to talk to . and I like the girl I go to Christine I ask for her every time I go in . very easy to talk to and does a real good job in the work she does . I have been going to the same place for years; glad to see the up-dates inside the building. Christine has been my hygienist for many years now and she does a great job,she is so friendly and makes you feel like part of the family. Very pleased with Dr. Park too; he makes you feel very comfortable too. i have been going to aspire dentistry for quite some time. i have been going to the same building for almost 50 years. it all started out with Dr. Hellen barbarick at the time. and i always had an awesome time with her and the people that work there. since it has changed over to aspire dentistry. the people there are still the same. kind, warm, and most of all caring. Christine is my hygienist. twice a year we try to catch up on our on goings. she is the best hygienist and friend.. everyone at aspire dentistry works hard to make sure that i leave happy. thanks to everyone at aspire dentistry. keep up with the wonderful work you do. My overall experience with this practice has been great. Dr. Park is thorough, very versed in the latest and best practices in dentistry. Dr. Park is calm, explains each dental procedure option well and allows for questions/clarification, and takes his time to conduct a full exam. Dr. Park has introduced new technologies (computer systems, digital displays, hand held remote imaging) to the practice. In addition, I was very happy that Anna and Christine stayed on after the previous dentists retired/left the practice. They are two of the best dental hygienists in New England. This place is great! Most people won't say that they enjoy going to the dentist but I definitely can say that I do. 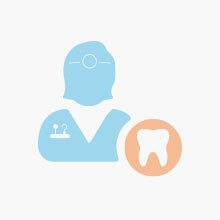 The staff is friendly, you get seen on time, the dentist listens to you and most importantly, they do good work. I always leave feeling like I have been well taken care of. I would recommend this place to anyone and everyone looking for a dentist. Had a great first experience @ this office with Christine. AND they leave you with a hot towel when you're done like you're walking out of a first class flight! They have a great brand & good customer service. Have already recommended them to family. Iâ€™ve had fear of the dentist all my life but this place makes me feel comfortable and safe. Before I became a patient at aspire I had to get a tooth pulled that was infected and I couldnâ€™t get an appointment anywhere for 3 months. I called aspire which one of my friends who work there recommended me to, they got me in that next week. To say the least I have put the fear of the dentist behind me and have made every single appointment for me and my family through aspire and have not looked back. If youâ€™re looking for experts search no longer these people are the real deal. The Aspire staff is very friendly and professional. They make you feel welcome and comfortable. My wife went to one of my cleaning appointment with me and while we were there she mentioned she was worried about one of her teeth so they brought her in to take a look right on the spot. I highly recommend Aspire to my family and friends. A horrible toothache sent me on a frantic search for a dentist when mine suddenly canceled my appointment. Aspire got me in super quickly, diagnosed the problem, got me on antibiotics & had a solution scheduled for the next day! Everyone was super nice, I felt completely comfortable (even in pain) & confident with everything they did. I liked them so much, i will be back as i have found my new dentist. They even called me the day after to check up on me, never has a dentist done that!